Ulaanbaatar is the most populated administrative area in Mongolia. Its population was estimated 1.31 million in 2013, representing approximately 46 percent of Mongolia’s total population.1 According to population data compiled by the Ulaanbaatar City Statistics Office,2 Ulaanbaatar’s population has been growing at a steadily increasing rate since the 1940s. Before the forties, the city was not much of a city at all, but rather a sleepy camp in the Tuul river valley that claimed less than 5 percent of the total population of the country. From the 1940s to the 1990s, the city increasingly represented a much larger portion of the national population, and in the last decade or so the city’s population growth significantly outpaced the national growth rate, rapidly heading towards claiming half of the country’s population (see graph below). Much of Ulaanbaatar’s recent population growth is generally attributed to inward migration from rural areas, as opposed to natural growth from city births, but the data indicates this is not a new phenomenon. 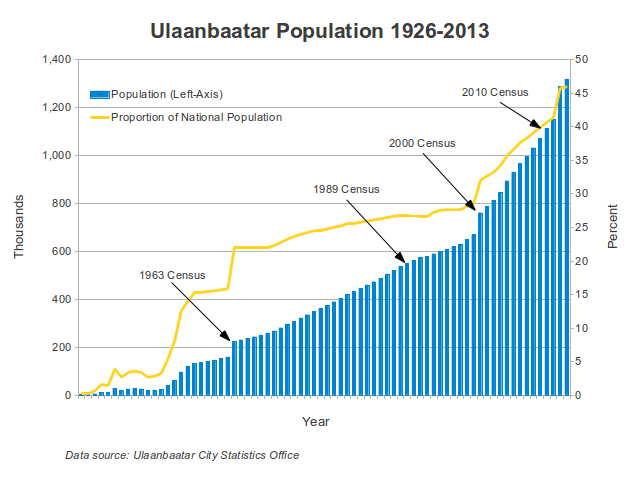 In fact, the majority of Ulaanbaatar’s population growth since 1926 has been driven by migration rather than births. Only in the three decades between 1963 and 1989, when presumably centralized planning strictly regulated migration, did the city predominantly expand due to natural population growth. There are significant jumps in the city’s population in 1963 and 2000 in the graph above when censuses were conducted. It is easier to see these jumps in the graph below which shows net population growth from year to year.3 The spikes in 1963 and 2000, among otherwise smooth trends, indicate something significant happened those years. Rather than a spike in migration, I think it shows large numbers of migrants having gone undocumented in the years before those censuses. The jump in 2012, although not a census year, is in close proximity to the 2010 census further supporting this hypothesis. The city data for 2010 is significantly lower than the official census count, and the jump is likely a delayed adjustment to the official city data table. 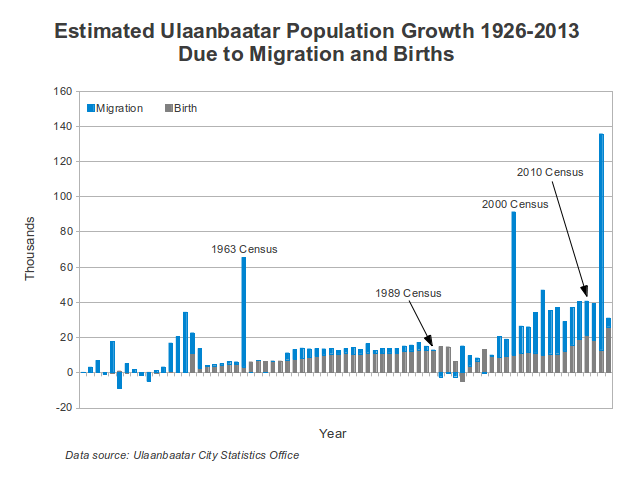 It should not be surprising that Ulaanbaatar’s population growth since 1926 has been mostly due to migration. In 1926 the official population was 1,500 people, which is about the size of a modern day rural soum (county). To get to its present population, the city has grown nearly 1,000 fold in the last 88 years, but the national population has grown just over 4 fold in the same period. The difference between these two rates has been compensated by the city claiming an increasing share of the national population. 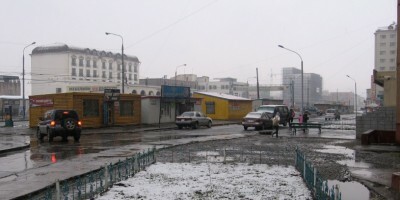 This growth has made Ulaanbaatar a densely populated urban area. 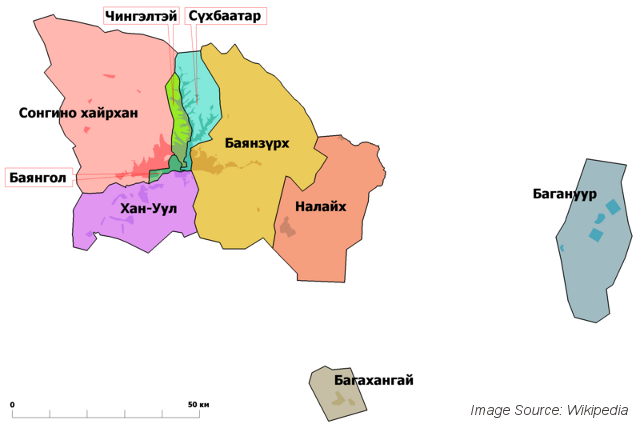 It is in stark contrast to the country at-large which has one of the smallest population densities in the world at 1.83 people per square kilometer.4 Depending on how you define “Ulaanbaatar” its population density is anywhere between 280 to 4,394 people per square kilometer. The former is derived from the administrative boundaries of the city districts which include thousands of square kilometers of empty rural space (see image above),5 and the latter is a rough estimate based on the areas of human habitation in those districts.6 The relative differences in these estimates are visually compared in the diagram below. 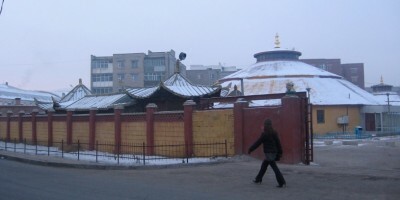 With a population just over one million, Ulaanbaatar is a reasonably sized urban area. Not small, but not particularly big by world standards. It is surrounded by hundreds of thousands of square kilometers of open space, so it can also continue to expand in all directions. Could it one day hold the majority of the country’s population? It looks likely from the trends in the data. 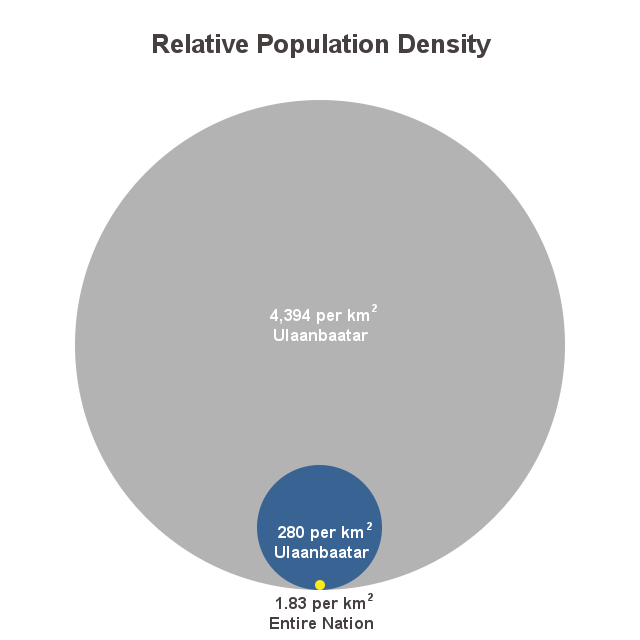 But, it is interesting to note that Mongolia’s population is so small it’s actually not that big of a deal Ulaanbaatar might one day have the majority of the population. A city of 2 million, for example, is not outside the realm of human experience, and a city that large would not take up that much space, especially relative to the remaining area of the country. In fact, if you wanted, you could fit the entire population of the country in a loosely formed crowd (no more than one person per square meter) in the area of the city circumscribed by the Ikh Toiroo (Big Ring Road) and Peace Avenue (see orange area in image below). You could gather the whole city population in an area less than twice the size of the area circumscribed by the Baga Toiroo (Little Ring Road) and Peace Avenue as well (the blue area in the image below). 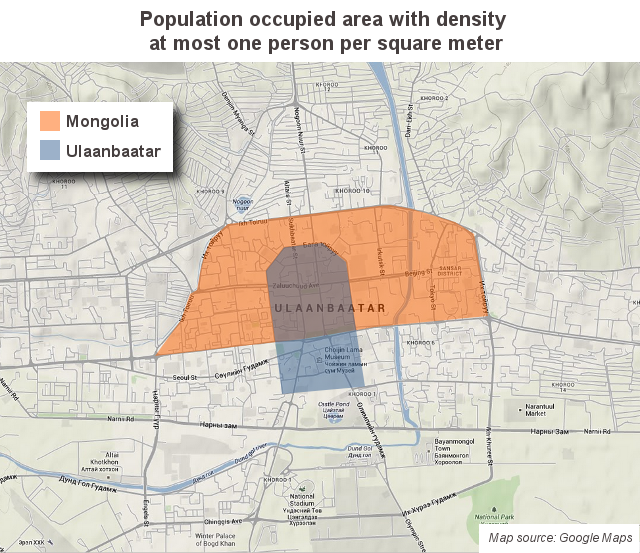 The natural inclination of most residents of Ulaanbaatar would probably be to shudder or protest at the idea of the city getting any larger. After all, the traffic and pollution are horrible enough already, and there is all this talk of there not being enough water or power to sustain the population in the next few years. This rings true, I suppose, but it is a result of poor city management rather than the limitations of creating a healthy and sustainable urban population Ulaanbaatar’s size. In fact, from a quality of life and economic sustainability perspective, having more and more of the population in and around Ulaanbaatar is arguably better–if the development of the city is managed properly. The numbers and experience in other parts of the world suggest with good planning and smart spending on infrastructure, an Ulaanbaatar that holds the majority of the country’s population could be a liveable urban environment. A larger Ulaanbaatar would also have the added bonus of leaving hundreds of thousands of square kilometers in the rest of the country as solitary wilderness in which to escape the city on weekends. 1. Data from table “Хүн амын тоо, хүйсээр, оны эхэнд, мянган хүн” at: http://ubstat.mn/StatTable=11. 3. The migration numbers were calculated using the national net population growth rate for that year and taking the difference between the absolute population growth and the estimated rate of births in Ulaanbaatar using the national growth rate. 4. Based on an area of 1.564 million square kilometers. 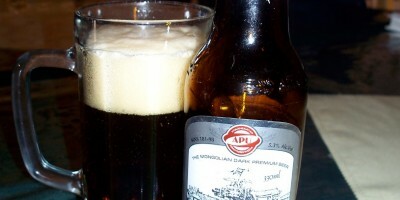 See http://en.wikipedia.org/wiki/Mongolia. 5. Based on an area of 4,704.4 thousand square kilometers. 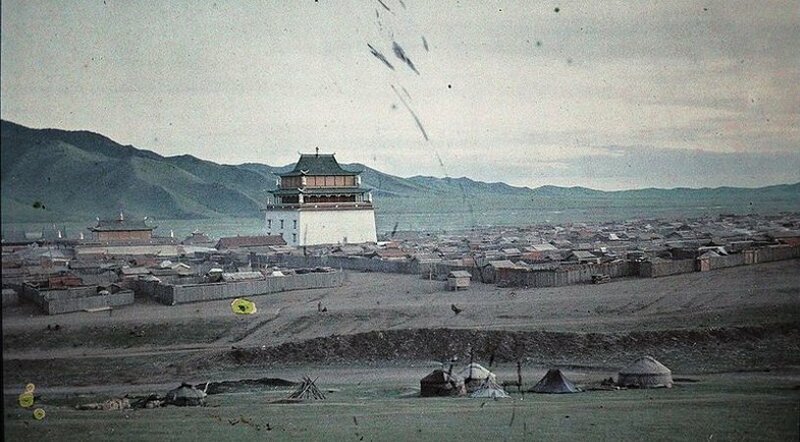 See http://en.wikipedia.org/wiki/Ulan_Bator. 6. Using a generous area of 300 square kilometers measured using this widget: http://www.daftlogic.com/projects-google-maps-area-calculator-tool.htm.